Has it ever occurred to you while updating your Facebook status, Twitter status or while writing and sending an email that what if I could do these tasks using my own language? We usually make use of the English language everywhere. I personally get bored by doing the same thing repeatedly and try to be creative, learn and explore new things. Aren’t you bored doing the same thing repeatedly? Well, there is a way out of this. 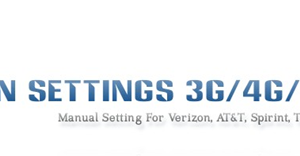 You can use this trick to update anything and do this anywhere on the Internet. Isn’t it cool to write on the web in our language and to read and view the same? We’ll show you how you can do this on Facebook. 1. The basic step is to get the Google Chrome browser as updating and writing in your language is only supported by Chrome. 2. Now from the Chrome Store you will need to get and install the Google Input Language tool so that you can update or write in your language. 3. 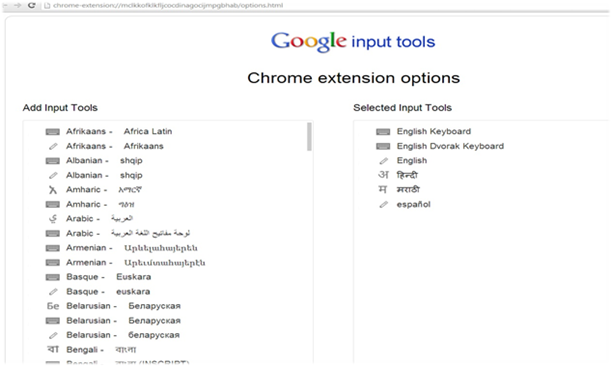 Once you install the Google Input Language tool from the Chrome Web Store you will see the “Google Input Tools” icon on the top right side of your Chrome browser. 4. Click on that icon and go to the Extension Options and now you will see the Chrome extension options page. In this page you can add your language to the Google input tool. 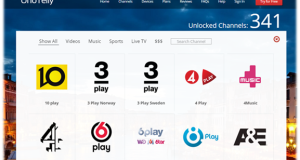 You can add multiple languages as per your choice. 5. Once you are done adding languages as per your choice kindly restart your browser for the changes to take effect. 6. 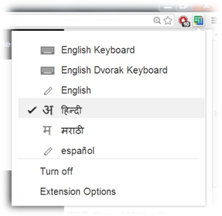 Once you restart your Chrome browser click on the Google Input Tools icon and select any language as per your choice. If you want to disable this feature then you can click on Google Input Tools icon and select “Turn off”. You can use this trick not only on Facebook but can also use it on Twitter, while Sending Emails or anywhere on the Web. Note: Besides of Google Chrome Extension, it is also available for other Google based products and Windows System; you can check here.